Think about the last time that you met somebody for the first time: a coworker, a friend, a romantic interest, or even a new barista at the coffee shop. When you first met this person, whether you consciously thought about it or not, you formed an impression of them, even though you didn’t really know them. Depending on your interaction, you may have found them kind, exciting, rude, or boring. On the other side, they also formed an opinion of you. Once formed, a negative opinion can be very difficult to change. You only have one chance to meet someone for the first time. We can’t go back and change the past if the meeting goes poorly. That’s why we try hard to make a good first impression in a job interview or on a first date. 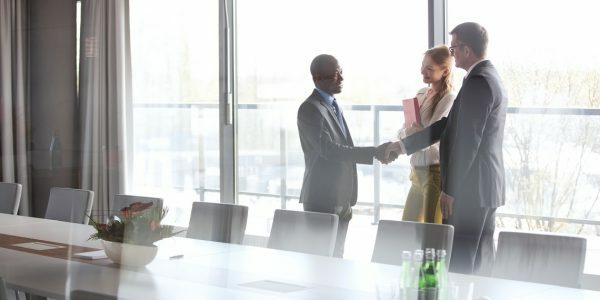 In acquisitions, by the time you make contact or meet with an owner, you have already dedicated significant time and resources formulating your strategy, researching markets, and identifying quality acquisition prospects. You don’t want all your efforts to go to waste because of a silly mistake. With owners of not-for-sale companies, making a good impression is essential. It’s the first step in building a relationship that could lead to a successful deal. It’s important not to forget the human aspect during this critical first meeting. Be knowledgeable – Do your research before contacting the owner so you are educated on their specific industry and company. An owner will form a better impression of someone who has invested time in understanding their business. It shows that you take acquisition seriously. Customize your materials – If you’re sharing any kind of documentation or presentation, be sure to reference the target company and add details specific to their business. This will communicate that you have particular interest in them, and they are not just one prospect on a list. Demonstrate strategic value – Why should anyone sell their company to you? Make sure you have a compelling answer in terms of a long-term strategy that shows growth for both their entity and yours. Establish trust – Understandably the owner may be wary in your first interactions, but establishing trust early on is incredibly important. By following the tips above, you’ll be on your way to developing a positive relationship with the owner. Make a good first impression in your next owner meeting. Join our upcoming webinar on April 21 to learn best practices on approaching owners.